Med Lahlou is the owner of five popular restaurants in Washington, DC including Lupo verde, Tunnicliff's, Ulah Bistro, andStation 4. A native of France, Med began traveling throughout Europe with his family at an early age nurturing his interest and aptitude for diverse languages, cultures, while refining his palate. Med's love and understanding of European cuisine is a reflection of this extensive exposure and his international parents, a French-born mother and Moroccan father. At age 16, Med moved to Washington, DC with his family, and by age 21, he was working at Stoney's. After managing Stoney's for over a decade, he became co-owner. Lahlou's passion for opening and owning restaurants did not stop with Stoney's as he soon expanded his restaurant group in 2001 to include Tunnicliff's in the Eastern Market area. A haven for both residents and politicos alike, Tunnicliff's attracts guests with its accessible menu, friendly service and popular heated patio. Saturday and Sunday brunch always attracts a line out the door, and is a tradition at the restaurant. Next came Ulah Bistro in 2006, which is a trend-setting spot in the hip U Street corridor. The restaurant's chic two-level interior gives way to an open kitchen along the back of the first floor. Guests enjoy an elegant New York-style lounge area on the second floor, which is popular for private parties. Lahlou was approached by the Arena Stage group, who recently opened the largest theater in Washington, DC along the Southwest Waterfront, about opening a restaurant. The Arena Stage management and patrons were frequent guests of Ulah Bistro when the theater was located in the U Street neighborhood. Med decided to accept the challenge of providing accessible fine dining near Arena Stage at their new waterfront location and Station 4 became a reality in June 2011. Lahlou's fourth restaurant and most personal endeavor to date, Station 4 brings a new level of restaurant to the emerging waterfront district with modern American bistro cuisine in a stunning environment. Med is a young and talented restaurateur with an ever-expanding horizon. Always striving to offer high quality experiences to patrons, he is a good example of the American dream come true and Washingtonians can look forward to his future endeavors. Antonio Matarazzo is a managing partner of Lupo Verde. A native of Avellino, Italy, Matarazzo earned his Bachelor of Science in the Economy of Tourism & Events at the University of Perugia while also working as the general manager of La Tana dell'Orso Wine Bar from 2002-2006. In 2006, after moving to the United States, Matarazzo joined the Hyatt Regency Crown Center in Kansas City, Missouri as a manager for the upscale Peppercorn Duck Club. This led Matarazzo to the nation's capital, where he managed international brands at MillerCoors. While working for MillerCoors, he helped the Italian brand Peroni beer reach the highest draft sales in the country. It was in this position, that in 2010 that Med Lahlou of the Lahlou Group met Antonio and asked him to join his restaurant company to open Station 4 as its general manager. 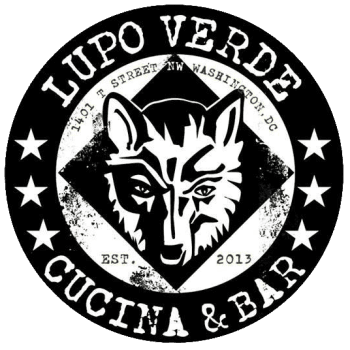 Then in March 2014, after many months of planning and after hiring a chef from Italy to lead the kitchen, Lahlou and Matarazzo opened Lupo Verde. Lupo Verde is inspired by Matarazzo's hometown dishes, drinks and culture. A native Italian and 2001 graduate from the Istituto Professionale per i Servizi Alberghieri e di Ristorazione, in Castrovillari, Italy, Domenico Apollaro moved to Washington to open Lupo Verde. Prior to joining Lupo, he was the executive chef at Eat's Easy Restaurante in Milan, Italy. His career also includes working as executive chef at Osteria Vista in Lachen, Zurich from 2011 to 2012. He also served as the chef of the restaurant and garden at Altri Tempi in Marina di Massa and Lucca, Italy. From 2006 to 2011, he owned and operated three restaurants in Villapiana, Italy: Fusion Bar, Café del Mar and Voglia Difrutta. His culinary career also includes working at the Hotel Hermitage in Portoferraio, Italy from 1994 to 2001 and then cooking in various restaurants throughout Italy and in London from 2001 to 2006.